A huge relief and massive joy for René Rast and Audi: in the tenth DTM race of the season, the reigning champion secured the first victory of the year, both for himself and for his manufacturer Audi. Having started from third place on the grid, the German crossed the finish line as the winner after 35 laps. “That was a huge relief after a long drought and a lot of bad luck,” Rast commented after the race. “Gary was massively fast and I didn’t really expect to win.” And at the same venue, no less, where he made his DTM debut two years ago. 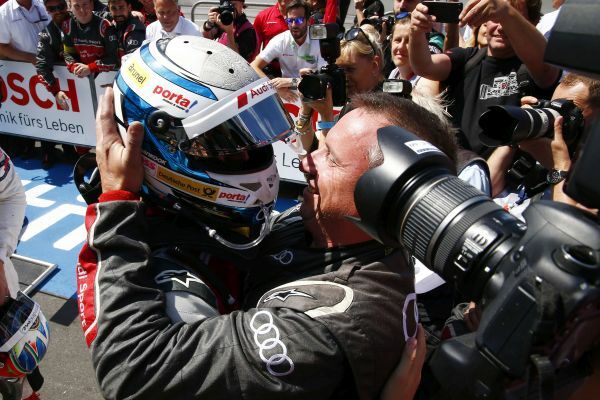 For the Audi driver, it was the fourth victory in his 30th DTM race. Second place in the race on Sunday went to Mercedes-AMG driver Gary Paffett ahead of his teammate Paul Di Resta. Philipp Eng took the chequered flag as the best-placed BMW driver in fourth position. A guarantee for Rast’s success was his pit stop strategy. Contrarily to the race on Saturday, he already headed into the pits for the wheel change at the end of the opening lap. This plan worked out. After Paffett’s stop on lap ten, Rast took the lead, corrected for pit stops, and temporarily extended it to over two seconds. Fourth-placed Philipp Eng with the fastest BMW M4 DTM was also happy with his Sunday. “The race was much fun, flat-out from the first until the final lap. I was able to keep up with the front-runners, but mounting a challenge to Paul was impossible. We can build on this performance.” At the halfway point of the season, Di Resta, wo finished third, is the only driver to have scored points in every race so far. After ten of this season’s 20 races, Gary Paffett remains in the lead of the drivers’ standings. The Brit is in first place with 148 points from Paul Di Resta (121) and Timo Glock (101). At the halftime point of the DTM season, Marco Wittmann (98) and Edoardo Mortara (97) are in fourth and fifth place. 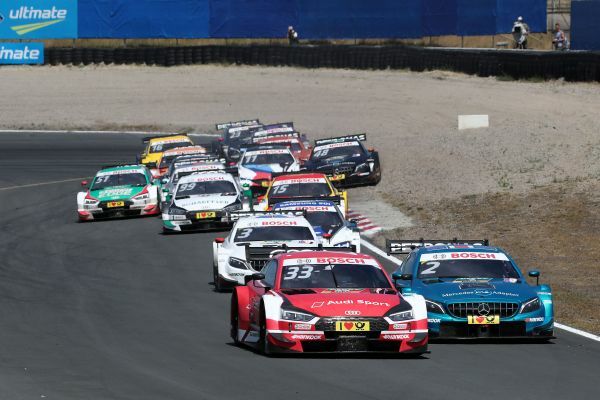 After a four weeks’ summer break, the DTM returns to the United Kingdom on 11 and 12 August. 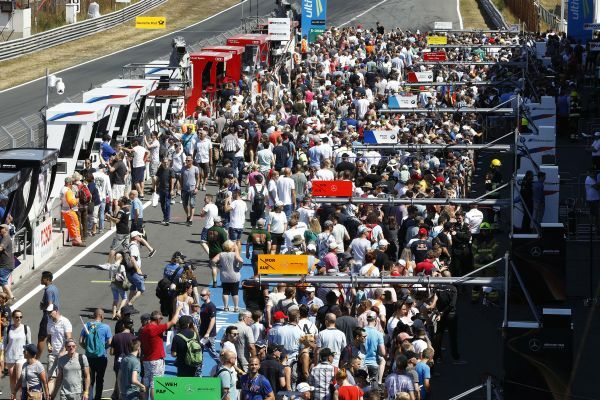 At the long circuit of the Brands Hatch race track with its rich heritage, the DTM gets the second half of its season underway with the eleventh and twelfth race in Kent.